There are various laws relating to the tying of the Tzitzis to the garment, such as the intent one must have in tying it [Halacha A]; the people that are valid to tie it [Halacha B]; and the validity of the Tallis and Tzitzis prior to the tying [Halacha C]. 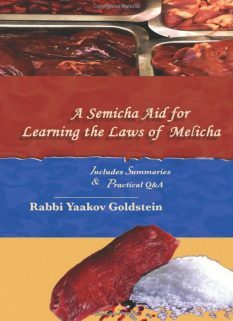 In addition, there are laws relating to the amount of strings one must use [explained in Halacha 3], the length of the strings [explained in Halacha 5] and the form of braid required to be made through the tying [will be explained in Halacha 9]. Regarding the use of a hole in tying the Tzitzis to the garment, versus other methods of attachment, see Chapter 3 Halacha 11. There is an opinion that rules that if a Jew tied Tzitzis to a Tallis, it is valid even if it was not done for the sake of the Mitzvah of Tzitzis. However other Poskim rule that if a Jew tied the Tzitzis to the Tallis without intent [of Leshma], then the Tzitzis is invalid. Practically, the final ruling follows this latter opinion that the Tzitzis is invalid [and hence if one tied the Tzitzis not Leshma he is to undo the Tzitzis and retie them Leshma, and not wear them until this is done]. [See Q&A!] However in a time of need, such as one who does not have another Kosher pair of Tzitzis to wear and he is also unable to untie the Tzitzis and retie them Leshma, such as on Shabbos, then he may rely on the first opinion and wear the Tallis without a blessing. One must tie the Tzitzis onto the Tallis for the sake of the Mitzvah. This is accomplished by verbalizing “Lesheim Mitzvas Tzitzis” prior to the tying of the Tzitzis. If one did not tie it Leshma, the Tzitzis is invalid, and must be untied and retied with the proper intentions. However, in a time of need that no other Kosher Tallis is available, and one is unable to untie and retie the Tzitzis, such as Shabbos, then one may be lenient to wear it without a blessing. In what language is one to recite that he is tying the Tzitzis Leshma? It may be recited in any language that one understands. If one does not understand what he is saying then he is not to say it even if it is in Hebrew. The custom is to recite “Lesheim Mitzvas Tzitzis” which means “For the sake of the Mitzvah of Tzitzis”. When in the tying process is one to recite “Lesheim Mitzvas Tzitzis”? Initially, it is proper to say it prior to inserting any of the strings into the holes of the corner. If one did not do so, it remains valid so long as it was stated prior to making the first knot. 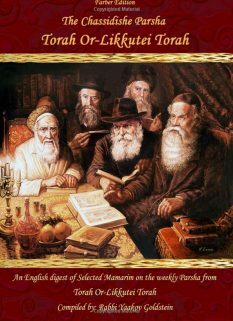 How often must one recite “Lesheim Mitzvas Tzitzis”? The statement of Leshma is only required to be said prior to the first strings being inserted in their corner. It is not required to be said prior to inserting the strings into the other three corners. Nevertheless, some are accustomed to recite it a number of times through the tying process, between the tying of each corner, and some even say it between each set of loops. Some refrain from talking throughout the entire tying process. If one made an interval in midst of the tying, must he repeat “Lesheim Mitzvas Tzitzis” prior to continuing? There is room to learn that once the Leshma statement has been recited, it is not required to be repeated even if one made a long interval prior to continuing the tying of another corner. [Nevertheless, initially one is to repeat it, although Bedieved it is valid.] If one sates at the beginning of the tying that all the Tzitzis that he will tie on this Tallis is being done Leshma, then it suffices even initially. How often must one recite “Lesheim Mitzvas Tzitzis” when tying Tzitzis to many Talleisim? So long as an interval was not made in-between, it suffices to say it one time. If however an interval was made, one is to repeat it prior to continuing. What if one did not verbally recite that he is tying the Tzitzis Leshma, but thought so in his mind? As stated above, if one thought in his mind to tie the Tzitzis for the sake of the Mitzvah, the Tzitzis is valid despite him not having verbalized this intent. What is the law if one did not even think in his mind to tie the Tzitzis Leshma, and simply tied them without any explicit intent? The Tzitzis is valid, and so was the widespread custom of many even initially. If however one explicitly intended that he is not doing it for the sake of the Mitzvah, it is invalid according to all. Gentile: If a gentile tied the Tzitzis to the garment it is invalid in all cases. Women: It is initially invalid for a woman to tie Tzitzis to the Tallis. If a woman tied the Tzitzis to the garment Leshma it is valid Bedieved. 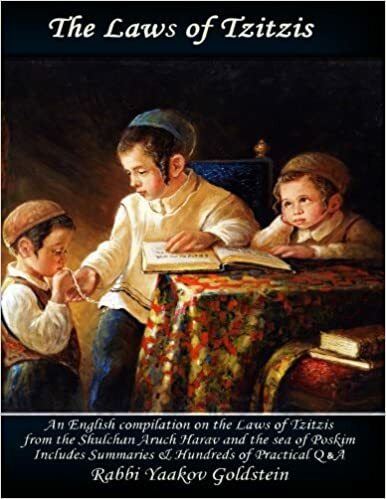 Children: It is initially invalid for a child to tie Tzitzis to the Tallis. If a child tied the Tzitzis to the garment Leshma it is valid Bedieved if he had adult supervision. May a Cheresh/Shoteh tie the Tzitzis to the Tallis? This follows the same dispute as mentioned above regarding women and children. According to the stringent opinion, a Cheresh and Katan are invalid even with adult supervision. According to the lenient opinion, a Cheresh and Shoteh is valid if an adult was supervising and telling him to tie the Tzitzis for the sake of the Mitzvah of Tzitzis. Practically, we rule like the first opinion, although it is best to initially be stringent like the latter opinion, as stated above. May a blind man tie Tzitzis? May an Onen tie Tzitzis? No. In the event that an Onen tied Tzitzis, some Poskim rule the Tzitzis is invalid and must be removed and retied while other Poskim rule it is valid. May a non-observant Jew tie Tzitzis to a Tallis? No. This applies even if an observant Jew is supervising him. 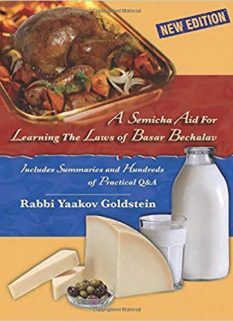 However, the Poskim conclude that non-observant Jews which are considered Tinokes Shenishbu are valid to be used for the tying, so long as they are trained to do so Leshma. Practically, one should only allow Tzitzis to be tied by Jews that are G-d fearing and can be trusted to do everything that is required in Halacha. May a Shabbos observant Jew that does not wear Tzitzis tie the strings? Yes. Practically however, one should only buy Tzitzis from Jews that are G-d fearing and can be trusted to do everything that is required in Halacha. May all male children that are above Bar Mitzvah initially tie Tzitzis? May a child tie the Tzitzis of his own personal Tallis Katan? Yes. A child that has reached the age of Chinuch is valid to tie Tzitzis for his own Tallis, or the Tallis of another child. When a child reaches Bar Mitzvah, may he continue to wear Tzitzis that he tied prior to his Bar Mitzvah? Some Poskim rule it is permitted for the child to continue wearing the Tzitzis if he knows he tied it Leshma. Other Poskim however argue that the Tzitzis is not to be worn after his Bar Mitzvah. 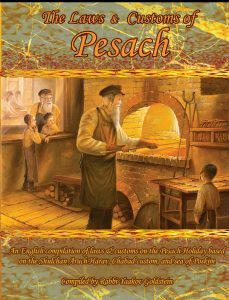 Practically, meticulous Jews are careful in this matter and give their children a new pair of Tallis Katan upon them reaching Bar Mitzvah. May a person who is invalid to tie Tzitzis make the remaining loops and knots after the first set of loops and knots was tied by a valid Jew? Some write it is permitted to do so. May one tie Tzitzis to a Tallis at night? Some Poskim rule one is not to tie Tzitzis to a Tallis at night. Most Poskim however rule that one may do so. Practically, the custom is to be lenient. Tallis of three corners was made into four corners: If a Tallis that contained three corners had three Tzitzis placed on its corners, and the garment was then cut to create a fourth corner, all the Tzitzis that were tied prior to its fourth corner being created is invalid and must be removed and then retied. This likewise applies even if one only tied Tzitzis to one corner, or even if one only made a single set of knots and one loop, and then created the fourth corner, nevertheless he must undo the loops, or the Tzitzis which were tied with invalidation, and then retie them. Tied two sets of Tzitzis to one corner: A Tallis that has two sets of Tzitzis tied to a single corner is invalid, as by doing so one has transgressed the prohibition of Baal Tosif. The Tallis can be validated by cutting off one of the two sets. One can cut off whichever set he desires; either the original set, thus having the added set now validate the Tallis, or the new set, hence having the old set validate the Tallis. Tied Tzitzis to five corners: The same law as above applies in a case that one tied five sets of Tzitzis to a five cornered garment, hence transgressing Baal Tosif, which if one cuts off one set the Tallis is valid. One can cut off whatever set he desires; either one of the original four sets that were first placed, thus having the 5th set now validate the Tallis, or through cutting the 5th set, hence having the original four sets validate the Tallis. Used more than 4 strings? See Halacha 3! Made the braid from a single string and then cut it: See Halacha 3! Made the corner hole above 6 cm and then cut the hole: See Chapter 3 Halacha 12B! Tying a loose string to a torn string so it meet the minimum measurement: See Halacha 14! May one sew a corner with Tzitzis onto a garment? 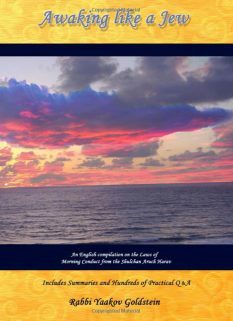 See Chapter 3 Halacha 12! May one sew a braided Tzitzis onto a corner? See Halacha 9 in Q&A! The reason: As in any event, blessings do not invalidate the fulfillment of a Mitzvah. [Admur ibid] Vetzaruch Iyun why Admur does not simply state not to say a blessing being that Safek Brachos Lihakel, as he states in 12/6! So writes Ketzos Hashulchan ibid; However see M”B ibid which writes it is invalid if said after the insertion of the strings, although in Biur Halacha ibid he sides to be lenient. So is implied from Biur Halacha ibid, Vetzaruch Iyun on Piskeiy Teshuvos 14/4 that implies even initially one is not required to repeat it. The reason: As each pair of Tzitzis is a different Mitzvah. The reason: As Tzitzis must be tied Leshma, and a gentile cannot tie Leshma even when supervised by a Jew. [see Admur 11/4; Taz 11/1]. Furthermore, even if the Jew assists in the tying it is invalid, as it is precisely for this purpose that the verse states “Bnei Yisrael”, to even exclude if one assists the gentile in the tying. [Poskim ibid] This explanation follows the 2nd opinion in 14/3 [see previous Halacha A], however seemingly this ruling [that even assistance does not help] applies even according to the 1st opinion [Rambam], as in his opinion the verse is simply excluding gentiles irrelevant of the concept of Leshma, and hence they are excluded totally even if a Jew assists in the process. It is the 2nd opinion, which holds of the concept of Leshma by tying, that requires a verse to exclude the assistance of a Jew which is not regularly excluded from Leshma. Other opinions: Some Poskim rule that if the Jew assists in the tying it is questionably valid, as the verse is only coming to exclude that even with supervision it is not valid, and hence there is no verse to invalidate when the Jew assists in the process. [Olas Tamid 14/5] Admur in Kuntrus Acharon ibid negates his opinion. Second opinion in Admur; Rama 14/1; Hagahos Maimanis in name of Maharam; Rabbeinu Tam in Gittin 45b, brought in Taz 14/1 regarding women; M”A 14/3 and Admur add the same applies to children. 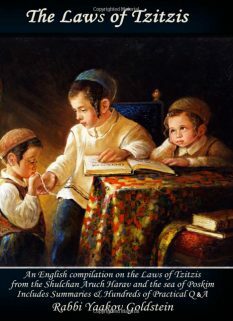 Vetzaruch Iyun if one may be lenient in a time of need even if it was not tied Leshma by a woman or child, as ruled in 14/3 that some Poskim rule the tying of the Tzitzis is not required to be done Leshma, and so is the ruling in a time of need. See Kuntrus Achron 14/1 and So rules Admur 11/4 [based on M”A 11/2 as explained in Kuntrus Achron 11/3] regarding the spinning and interweaving; M”B 14/4; Vetzaruch Iyun if one may be lenient in a time of need even if it was not tied Leshma by a woman or child, as ruled in 14/3 that some Poskim rule the tying of the Tzitzis is not required to be done Leshma, and so is the ruling in a time of need. Aruch Hashulchan 14/7 as rules Admur 18/1; Michaber 17/1; Menachos 43 that a blind man is obligated in Tzitzis. However see Rosh who brings an opinion that a blind man is exempt from Tzitzis. Kaf Hachaim 14/4 based on M”A and Admur ibid which hold that according to Rabbeinu Tam there is no difference between children and women, and hence children are Biblically invalid according to his opinion and two hairs must be verified as is required by all other Biblical commands, as rules Admur 39/1 regarding Tefillin. However see Tehila Ledavid ibid that since the main ruling follows the Tosafus and Rosh that women and children are valid, therefore one may even Lechatchila be lenient by a child above Bar Mitzvah, as perhaps he has already grown two hairs and they have fallen off. The reason: As the concept of Taaseh Velo Min Hasuy does not apply to an invalidation due to time, and rather only applies to an invalidation in the body of the object. [P”M ibid] So is proven from the fact that according to all one may make a Sukkah before Sukkas. See 10/11 that even if one loop was done at a time that the garment was invalid, then the Tzitzis is invalid. However see 11/23 that if a double knot was not tied on top of the loop, then it is valid, as we only prohibit Taashe Velo Min Hassuiy when the entire Biblically valid Tzitzis was made with invalidation. Nevertheless, as Admur concludes there, initially one should not make any part of the Tzitzis with invalidation, not even the entering of the strings into the hole. The reason: An invalidation of the garment due to invalid Tzitzis of a different corner does not invalidate the other Tzitzis, being that they themselves are being tied in a valid method. [Admur ibid] In 15/8 Admur writes “being that the Tzitzis still remained attached to a piece of garment that retains Shiur Tallis and contains four corners, and therefore still retains their status of Kosher Tzitzis. It is simply that the Tzitzis have now separated from each other, and this separation does not invalidate them as all the Tzitzis of the entire world are placed one after the other [and are hence at first separate until all four Tzitzis are tied].” [ibid] It is implied from the above that the invalidation of one corner has no effect on the fringes of the other corners, even if the Tzitzis of the other corners are initially invalid to be used, such as a string tore to below 24 cm.